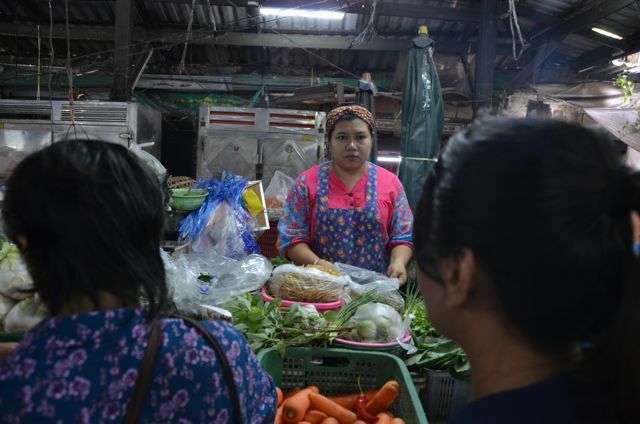 Vendors protectively guarded their wares and produce. A grey and white tabby cat groomed herself while lounging atop a stack of brown paper. 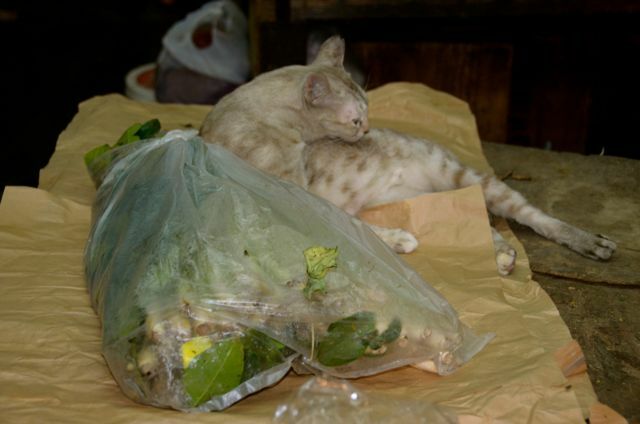 Another feline wove in and out between stacks of wrapped brown eggs. I tread carefully, lest other crawling creatures, large or small, cross my path. 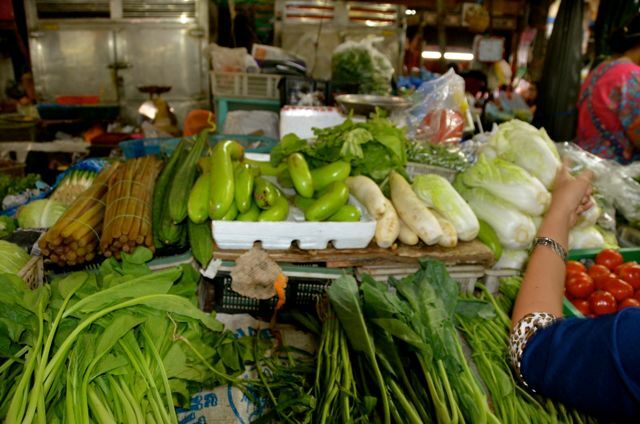 With our bags full of fresh vegetables, we returned to Bangkok’s frenetic streets, which were bathed in sunlight. We dodged taxis, motorbikes and tuktuks, each chugging along with its own unique sound. 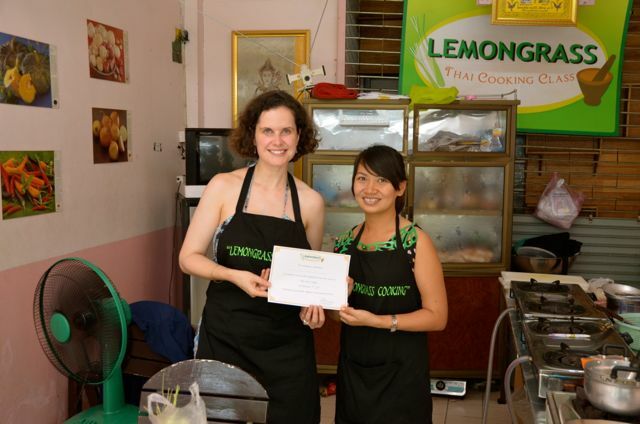 Upon arriving at our cooking school, Carole handed us an apron and knife. Soon the real work began. 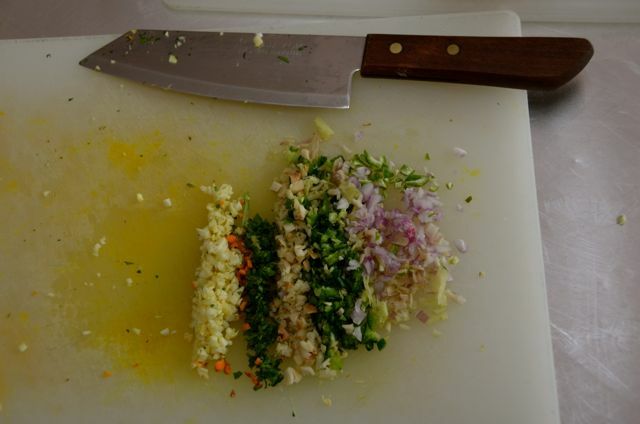 For the next three hours, we chopped, minced, pounded, fried, stirred and arranged our culinary delights in a passionate manner. We then devoured them with similar vigor. 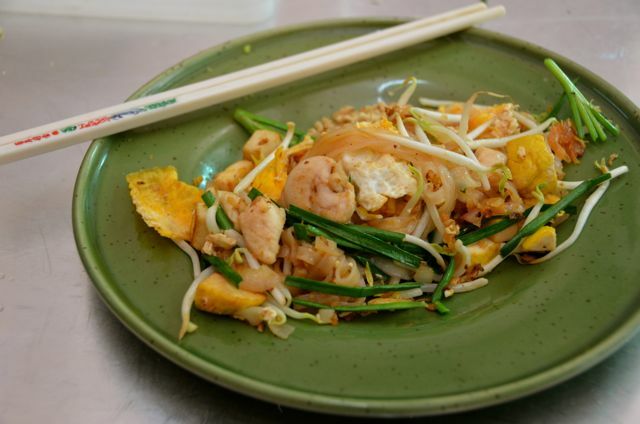 With full bellies, and a take out baggie of Pad Thai in hand, we trekked back to our guesthouse on Samsen Road. 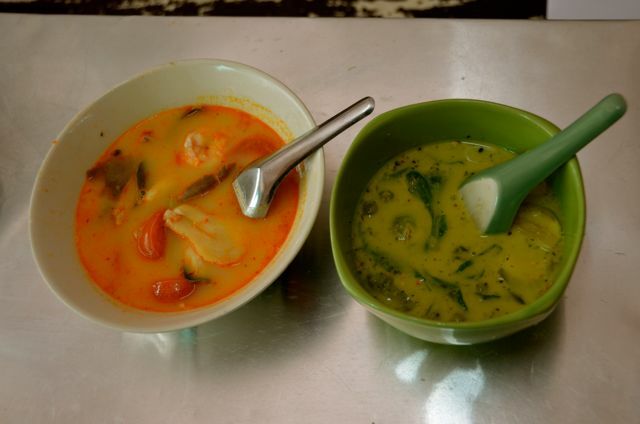 We had always appreciated Thai Green Curry. But, after learning that nearly ten ingredients comprise its paste – and after pounding that mélange of ingredients for what seemed like an eternity – we had a newfound respect for the dish and its cooks. 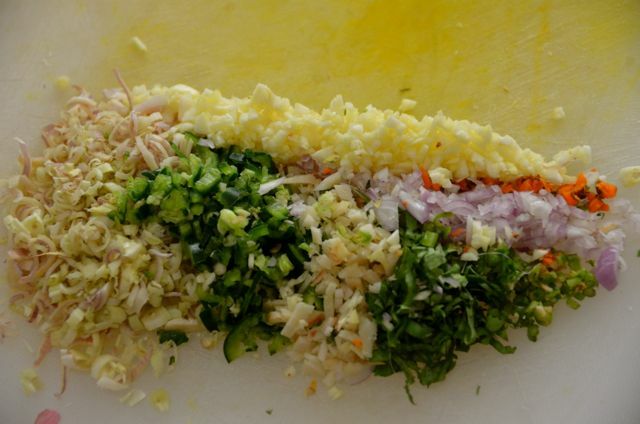 Here are the recipes, courtesy of our Lemongrass Cooking class. Bon appétit, or as they say here in Thailand, ทานให้อร่อยนะครับ/คะ! Pound cumin, green pepper and Thai green chilies until fine. 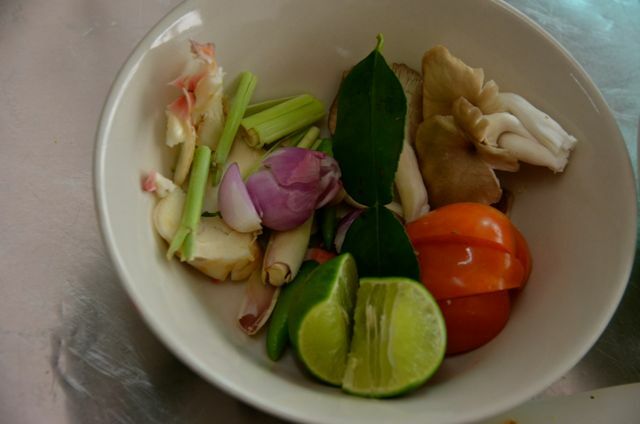 Pound lemongrass, galangal, Kaffir lime rind, coriander root and leaves, shallot and garlic together until fine. 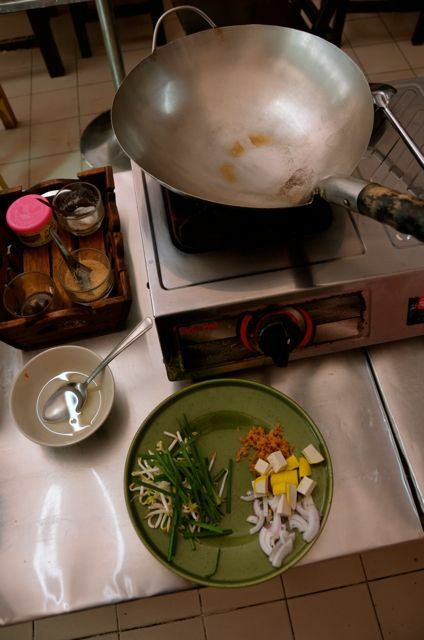 Add the remaining ingredients except shrimp paste. Pound until mixed well. Add shrimp paste. 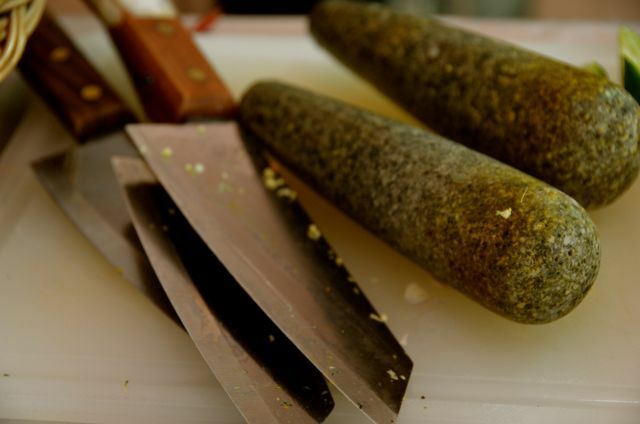 Continue pounding until smooth and fine. Then reserve. 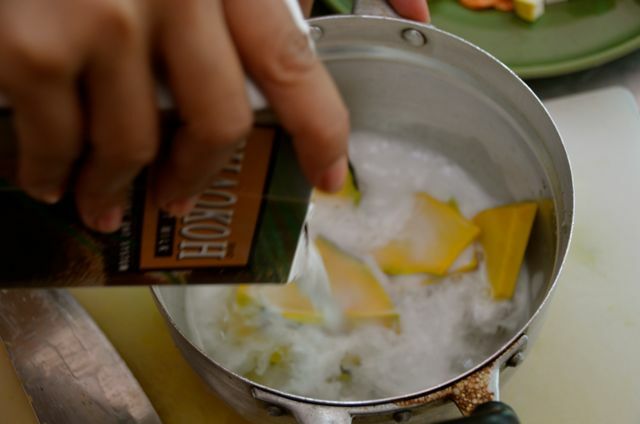 Place coconut cream in wok. Heat over medium heat until some of the oil comes to the surface. 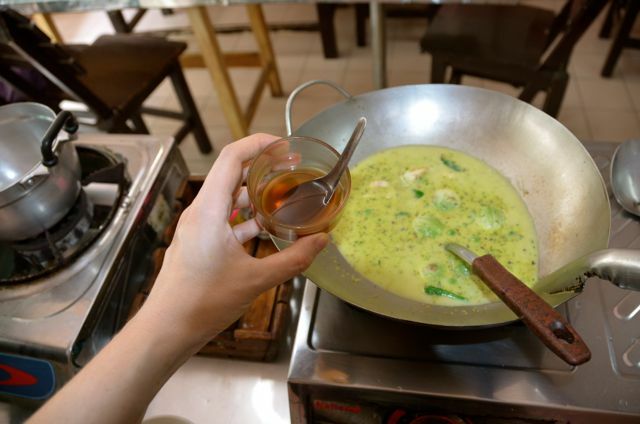 Add green curry paste and stir constantly until fragrant, then add sliced chicken and stir for 1-2 minutes. Add coconut milk, stirring for another minute. Then, bring to a boil. 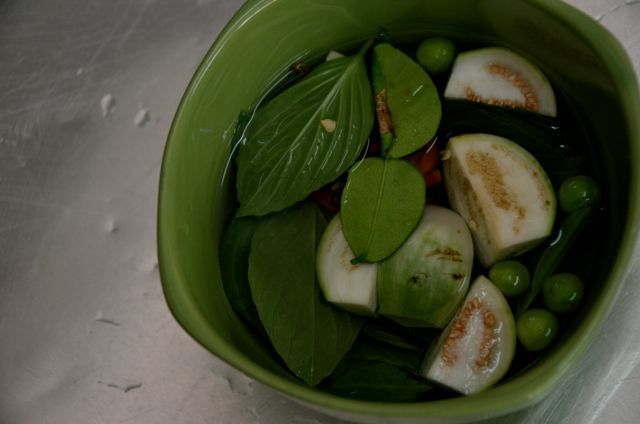 Add Kaffir lime leaves, quartered Thai eggplants and pea eggplants. Cook over medium heat until the chicken is cooked and the eggplant is tender. 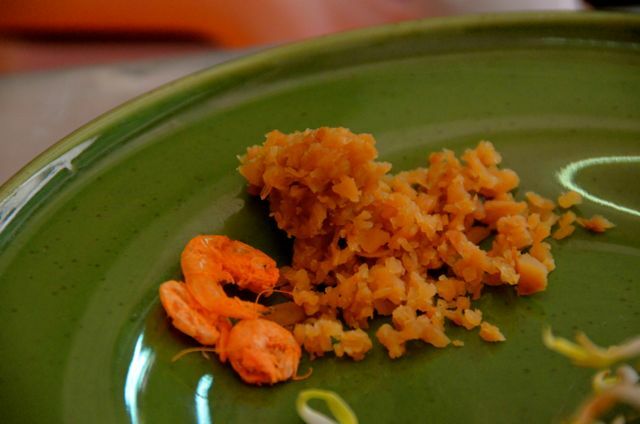 Season with fish sauce and palm sugar or brown sugar to taste. Add Thai basil leaves and red chilies. Bring to a boil. Then, arrange to serve. Remove the shrimp shell but leave the tails (for good appearance). Then, cut open the back of each shrimp to remove the veins. Also clean the mushrooms with water and dry them before wedging each into quarters. 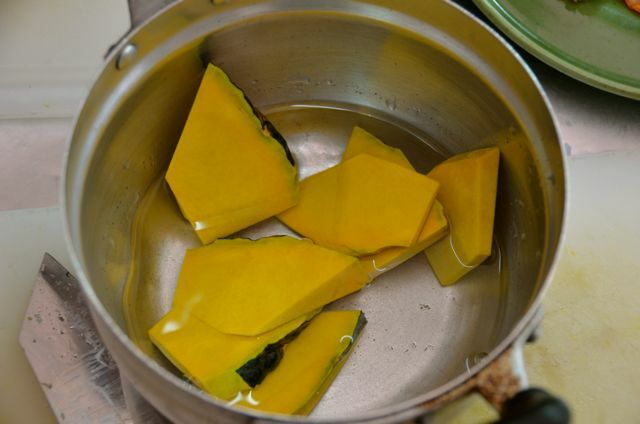 Pour drinking water into a deep cooking pot and bring to boil. 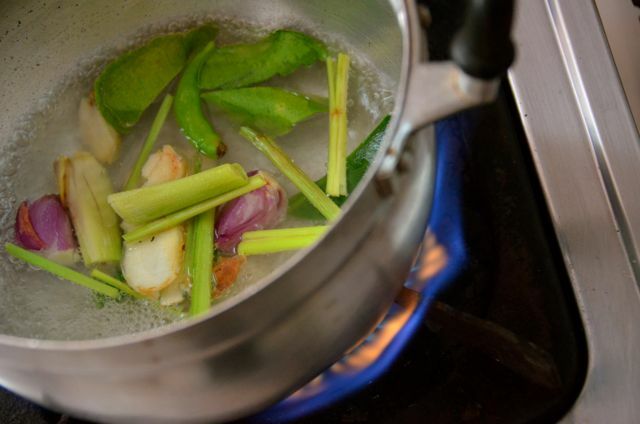 Add lemongrass, galangal, shallots, chilies and Kaffir lime leaves and boil for 2-3 minutes. Add mushroom and tomatoes. 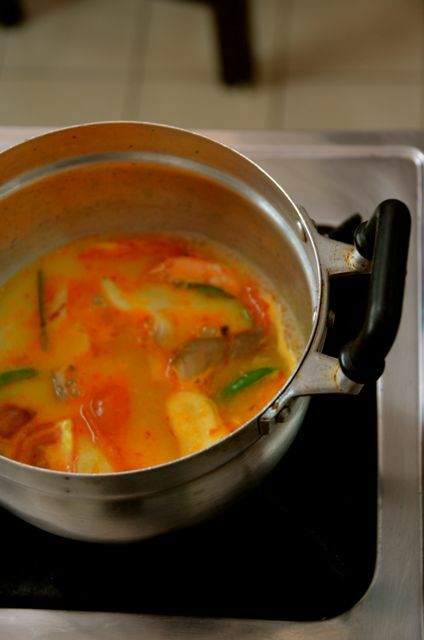 Reduce heat to medium and simmer for 2-3 minutes. 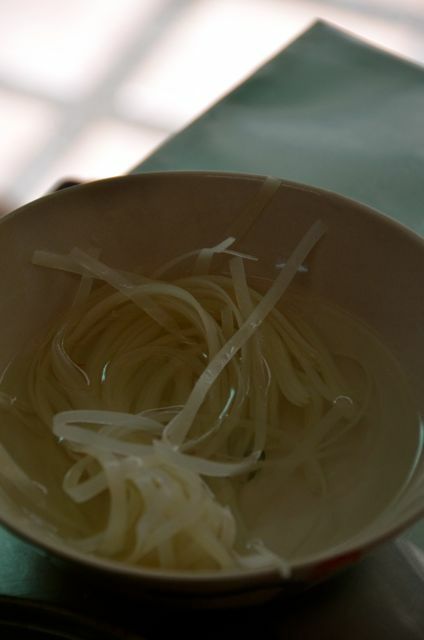 Then, season with fish sauce, sugar and lime juice. Add chili paste. Add shrimp. When the shrimp turn pink, add coconut milk. Turn off heat. 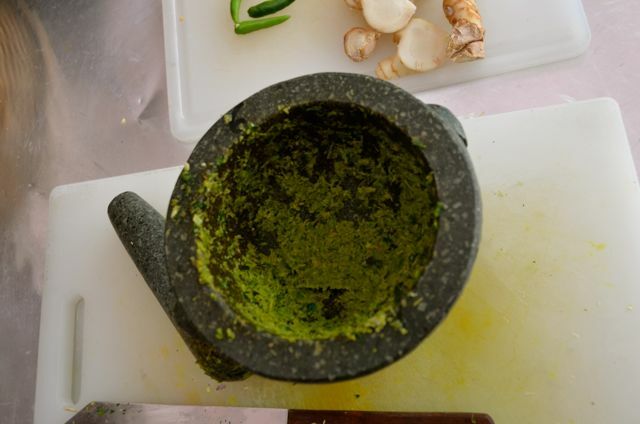 Serve while hot and garnish with coriander leaves. 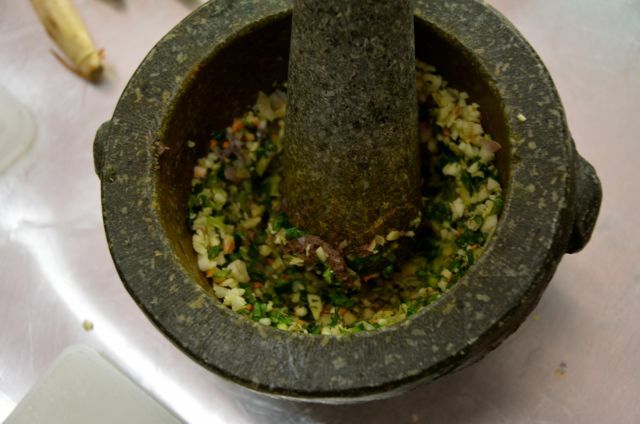 Combine all ingredients in the saucepan. Let them boil and stir until well-mixed. Reserve. 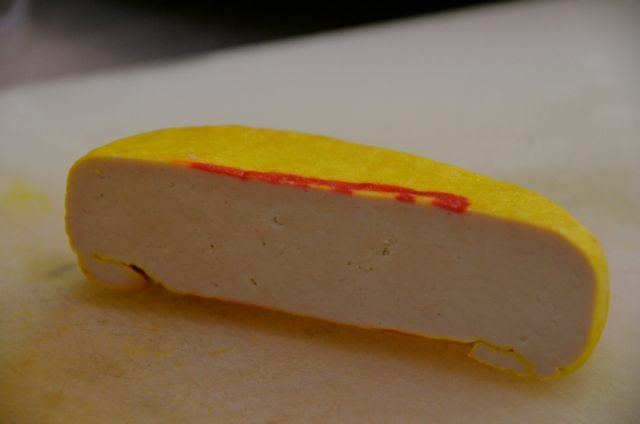 Fry the tofu, Chinese preserved radish, dried shrimp and shallots in hot oil until medium brown on each side. Set aside. 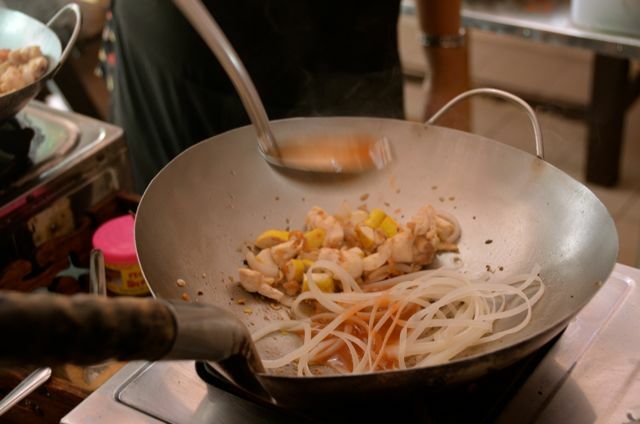 Add noodles and two spoons of the Pad Thai sauce. Stir. When the noodles soften a bit, mix well. Be careful not to make a noodle mush. 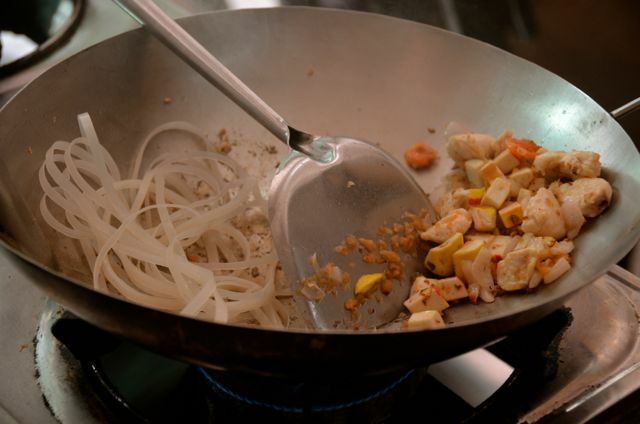 Try to keep the noodles separated as much as possible, covering the entire bottom of the pan. Spread them out. Cook the noodles until they are soft. It may take a minute or two. Taste to be sure they are done. If they get too dry, you may need to add a bit more water. When the noodles are done, push them to the side to create room for the egg. 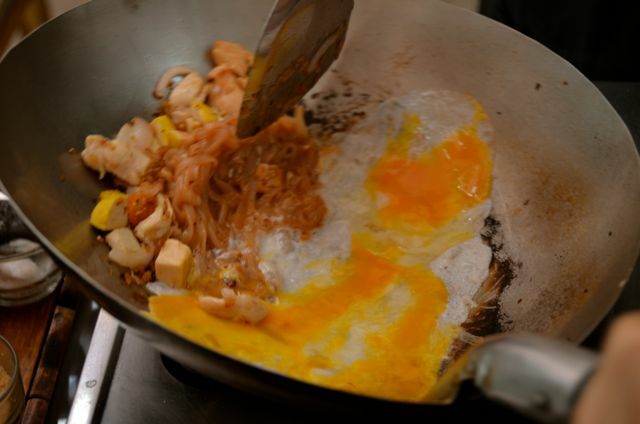 Crack the egg into the space and scramble it with your spatula and cover the bottom of the pan. Throw the noodles on top of the egg. 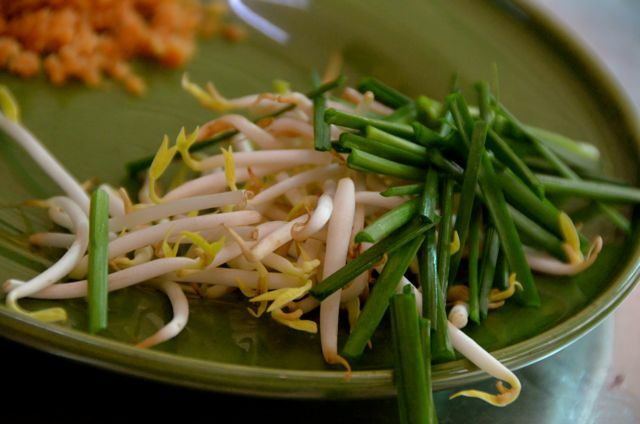 Add the chives, half of the peanuts and half of the bean sprouts. 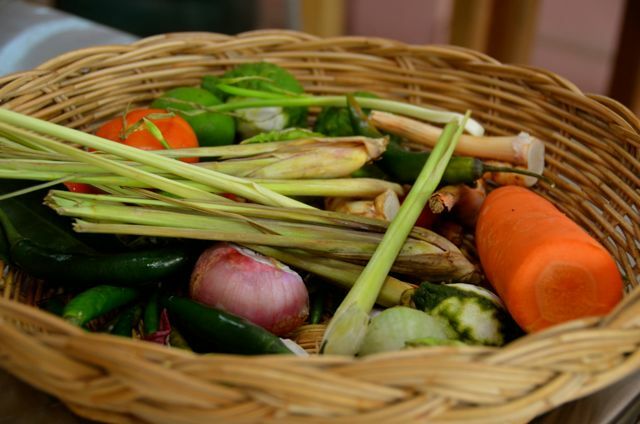 Mix well and remove from heat to a plate. 2 c. pumpkin, peeled and cut into 2″ x ½” x ½” slices. Heat coconut milk over medium heat. 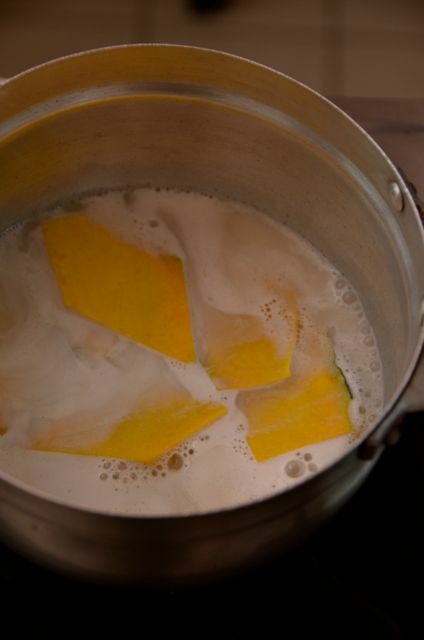 Add palm sugar, salt and pumpkins, then leave simmer for 2-3 minutes. 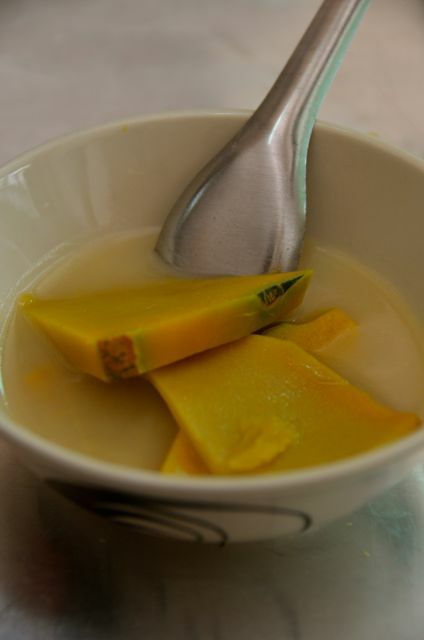 Add coconut cream. Turn off flame and serve. 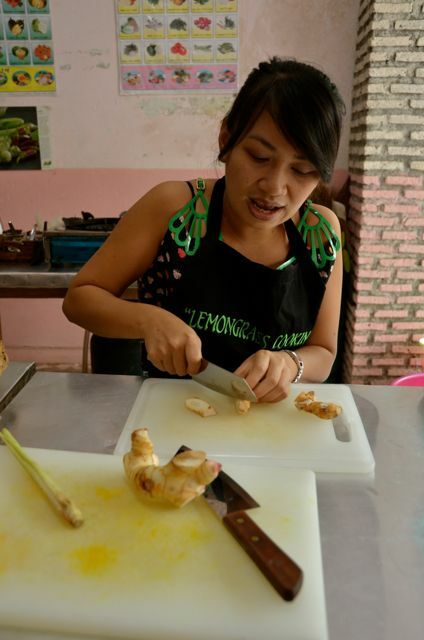 We took our half-day cooking course with the Lemongrass Cooking School in Bangkok, which is not far from the Khaosan Road area. Though we booked our course through an office in person, it seems as though you can contact them in advance at the above site. What a wonderful cooking lesson. I’m picking up your post early morning and am hungry now that I’ve seen the delicious ingredients. Maybe Thai tonight? No time to cook today. I still have the same Pavlovian response when looking at the pictures. 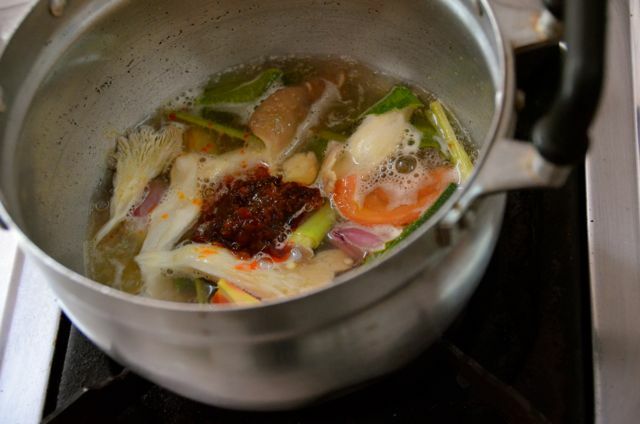 Fortunately, we’re now in Cambodia and the cuisine here is equally-good, though not quite as spicy overall. In NY, you must have a surplus of delicious restaurants at your fingertips? 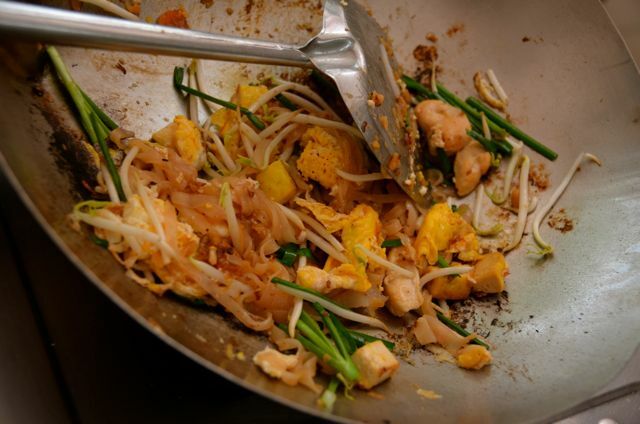 Here’s hoping you’re able to enjoy some Pad Thai or coconut dish today! Wonderful photos of what looked to be a great experience. 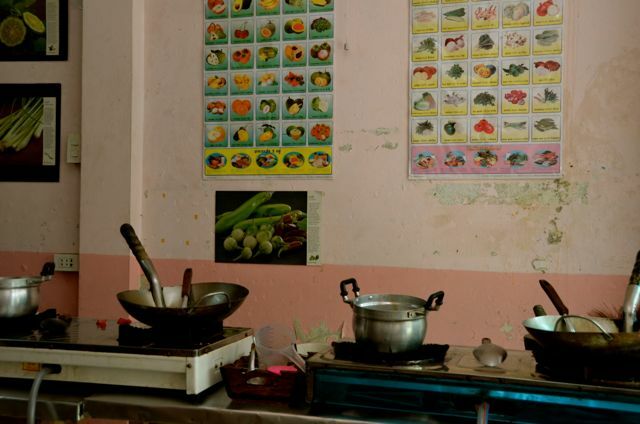 I loved photo #8 (I think it is) with the saucepans lined up. Are they certificates, that you and your husband are holding up? too funny! 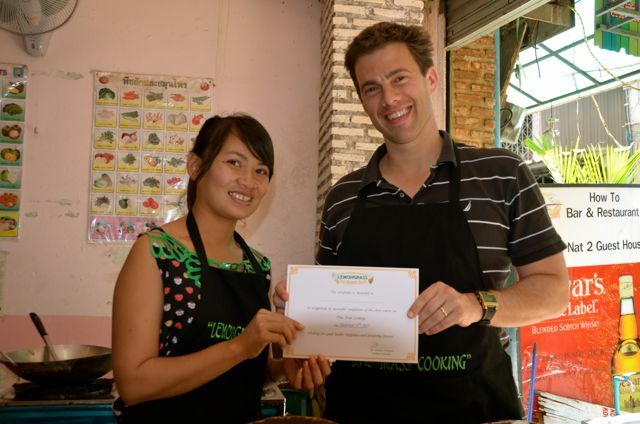 did you notice any faux Thai cooking school certificates? You have he photos to prove it though! Congratulations!! Didn’t see any certificates of that sort, but if you’re in the market for a driver’s license, TEFL certificate, bachelor’s degree diploma or journalist credentials, it seems the faux producers in Bangkok can set one up. 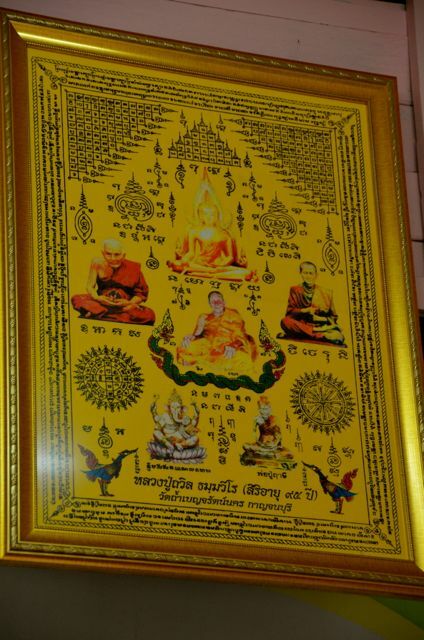 Seeing that such documents were theoretically at everyone’s fingertips made us question pretty much any credential (including the tuk tuk driver’s attempts to get us to go suit shopping so that they could supposedly get free gas coupons from the Thai government). We were unfortunately always on guard in the big city! Tricia – check out this post by Boggleton Drive: So You Want To Be An English Teacher?. http://boggletondrive.com/ Made me think of those certificates on sale at those markets! Ha :) Made me smile. Thanks for sharing, Marina! 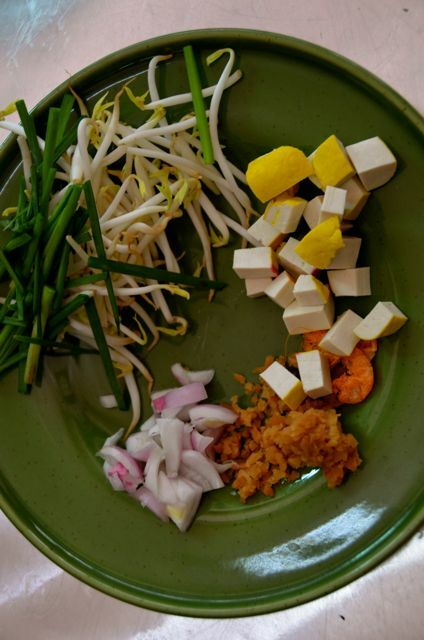 This is a really nice post….We always struggle to get veg food in most countries…including Thailand and more often than not, resign to a few veg dishes that we have researched. 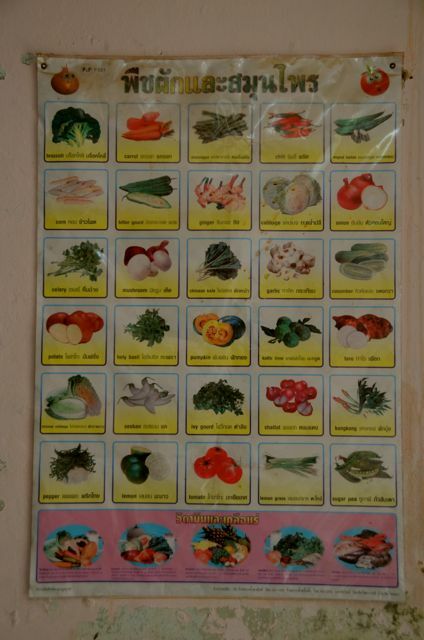 Looks as though you had an enjoyable and productive time in Koh Tao. Surprisingly, we never made it to any of the Thai islands.